If you’re looking specifically for smartwatches with the best battery life, you’re going to run into some trouble. One of the biggest problems with smartwatches is that the batteries within them don’t last long before you have to charge them. 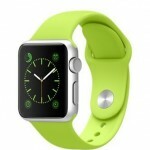 The average battery life for even the “smartest” watch is about 1 to 2 days. Many of us already own smartphones that need to be charged on a daily basis, sometimes even more than that. Why would we adopt a smartwatch that needs to be charged just as much? Surprisingly, there are some smartwatches out there that will last for longer than a day; we’re talking in excess of three days. 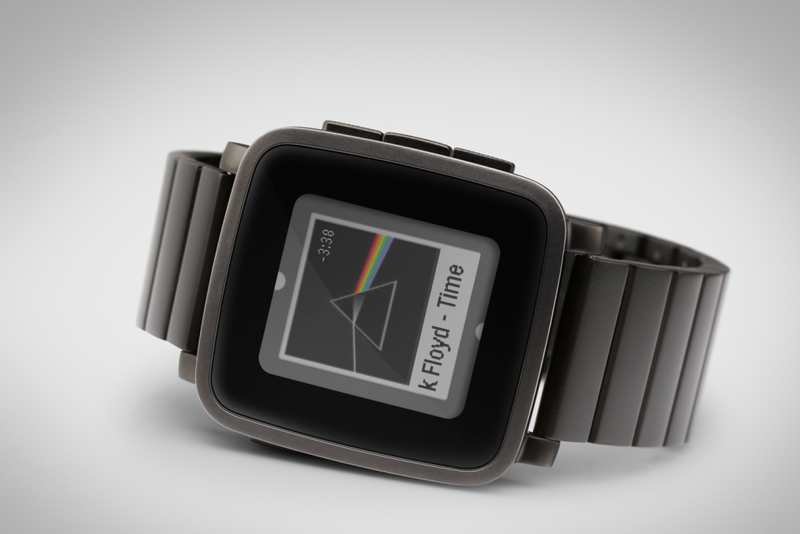 The Pebble Smartwatch, for example, can last for up to an entire week on a single charge. 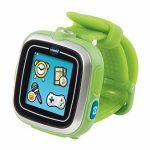 As you’d expect, most smartwatches that last for longer periods are missing certain features in order to attain this specification. The aforementioned Pebble smartwatches use a low-power e-paper display with monochrome visuals, as opposed to a bright and colorful LCD or OLED you might find on a Samsung brand watch. Either way, if you’re looking for a watch with a little more kick in the battery department then you’ve come to the right place. We’re here to talk about smartwatches with the best battery life. If you would prefer to own a smartwatch that can last for longer than a day or two, the ones listed below are the best available. Keep in mind that there are constantly new devices launching, which means at some point there may be a few models better than what you see here. 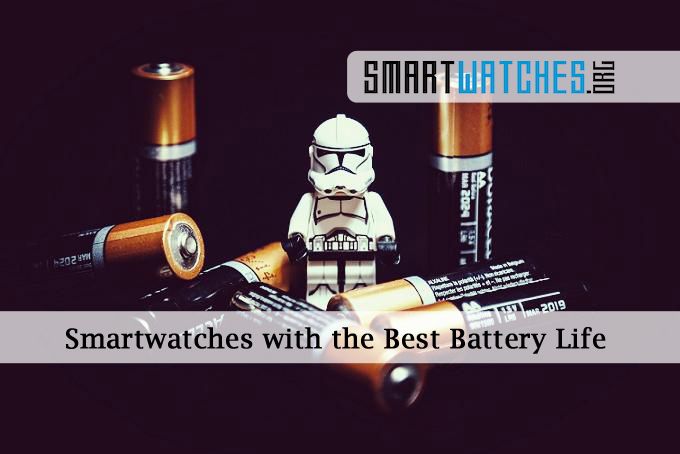 Nevertheless, we’ll do our best to keep this list of smartwatches with the best battery life up to date. If you absolutely hate charging up devices on a consistent basis and want a watch with a ridiculous amount of battery power under the hood, the Cogito Classic is for you. It takes a standard CR2032 size watch battery which will last for up to 365 days or a full year. Similar to some of the other watches on this list, it has a standard analog watch face with LED indicators in the background. The indicators are nothing more than icons that light up to signify what app or service has alerts available. 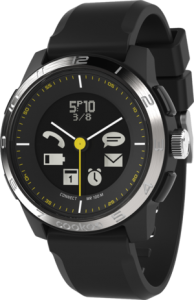 The Cogito Classic also has remote selfie and music controls, activity tracking, phone battery indicators, and a companion app. The Cogito Classic is compatible with iOS (7+) and Android (4.3+) smartphones. The Classic is $180 at full price. On top of being reasonably priced, the ConnecteDevice Cookoo 2 has an average battery life of about 180 to 200 days. If that sounds outrageous, it’s because it’s not “smart” in the sense that you’re used to. 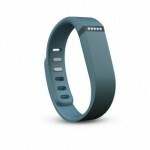 It runs on a regular watch battery and does not need to be recharged. The watch face is analog based, like a regular wrist watch. Behind the analog face is a low-power display that will reveal LED icons. The Cookoo 2 can show notifications for social media networks, email, messaging, phone alerts and calls, and much more. The idea behind the Cookoo is that instead of spending time fiddling with a device on your wrist, you can simply glance at the watch and see what’s going on with a connected phone. Obviously, smartphones will pair up with the Cookoo via Bluetooth 4.0. It works with Android 4.3+ and iOS 8+ devices thanks to a companion app. Additional features include 10 ATM water resistance, activity tracking, music controls, remote camera shutter controls, and incoming call alerts with caller ID. The Cookoo 2 is about $149 at full price. 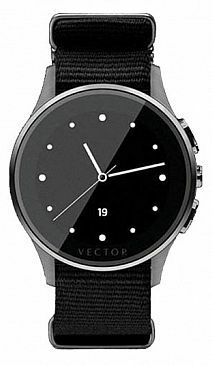 The Luna by Vector Watch will apparently get up to a full month (30 days) of usage on a single charge. If you’re wondering how it achieves this in the same way as the Pebble smartwatch, by using a low-power monochrome display. Furthermore, that display is not a touchscreen, and the watch uses button controls. 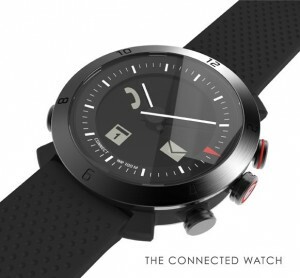 The Luna has a round design while its sister device – the Vector Meridian – has a square or rectangular design like the Asus ZenWatch. As for what it can do, it will receive smartphone notifications, can run proprietary applications, and more. Plus, the Vector Luna is compatible with all three major smartphone types: Android, iOS, and Windows Phone. If you’re interested, the Vector Watch Luna is $349 at full price. The Pebble Time was one of the latest smartwatches from Pebble Tech, and the steel version is, well a steel version of the Pebble Time. Pretty self-explanatory, right? With the Time, Pebble improved on the original model by including a color e-paper display. Even better, they improved the battery life from 7 days on a single charge to 10 days. The Time includes everything the original Pebble did, with the exception of a few upgrades. The color display and the increased battery life are the most obvious. It also syncs with Android (4.0+) and iOS (8+) smartphones to deliver notifications and call alerts. The most important addition is the integrated microphone, which works with voice command apps and allows users to take calls remotely on their smartphone. This is great if you’re out running or have your hands full and just want to quickly answer a call. Of course, the most important features are all there too including smartphone notifications, watch apps, multiple face designs, and more. The Pebble Time Steel is $249.99 at full price. 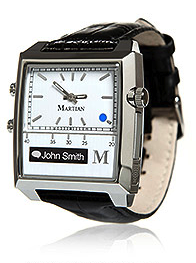 The Martian Passport is another analog style watch with minimal smart features. It actually has a small 1 inch OLED screen located below the analog watch face, which can display smartphone notifications and alerts. It works with all major smartphone platforms including Android (2.3+), Blackberry (10+), iOS (6+), and Windows Phone (7+). It also has an integrated microphone and speaker for both voice command and remote call functionality. It syncs up with smartphones via wireless Bluetooth 4.0, and there’s a companion app available. Those interested in the Passport will be pleased to know it’s only $299 at full price, we have it available for $200 in our store. There’s a budget model available called the Martian Notifier that is much cheaper at about $100 too. If you don’t need anything more than 2 days of use on a single charge, then it’s safe to go with the Sony SmartWatch 3. 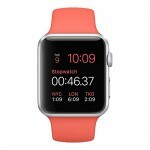 It’s powered by Google’s Android Wear platform, which recently received an update offering compatibility with the newest iPhones. The SmartWatch 3 isn’t quite as elegant as some of the other Android Wear watches like the Moto 360, Asus ZenWatch or Gear S2, but it still looks decent. If you don’t want to go with the sporty look, you can always opt for the stainless steel version. The experience is pretty much the same across the board with all Android Wear watches. You’ll get smartphone notifications, remote messaging and call support, remote music playback, plenty of compatible apps, and more. Plus – just as you’d expect from an Android branded device – there’s plenty of personalization options to truly make the face and UI your own. 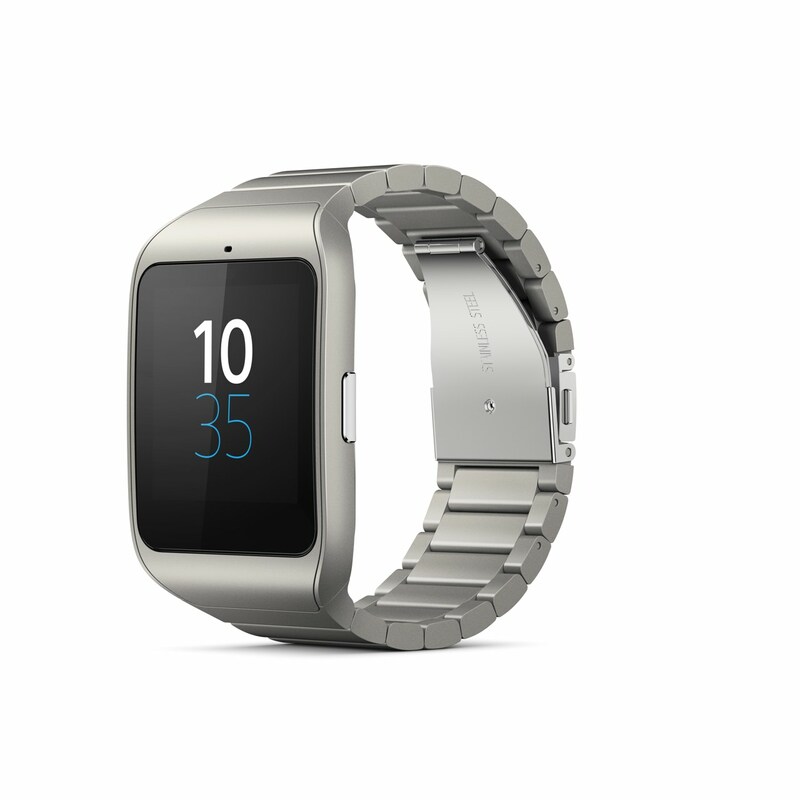 The SmartWatch 3 is about $200 at full price. After pouring through the list, are there any smartwatches or honorable mentions that we failed to include? What models would you have on your personal list of smartwatches with the best battery life?